Pt. 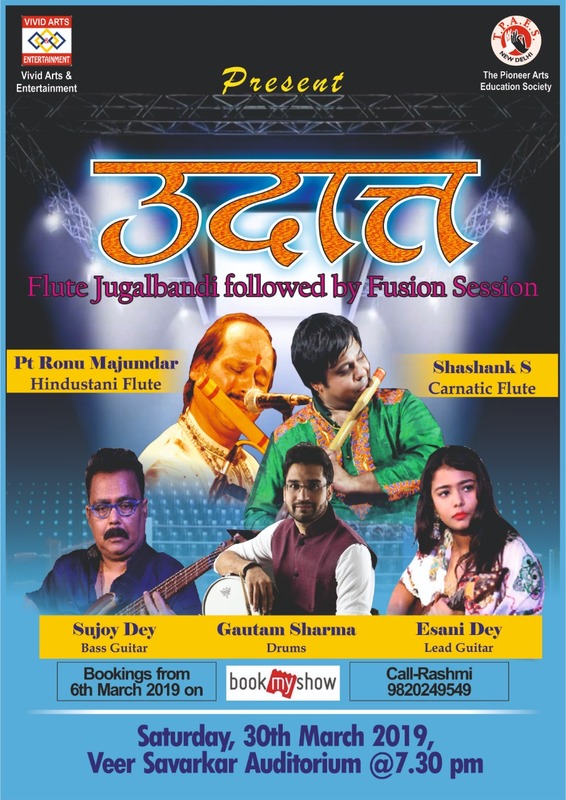 Ronu Majumdar will perform a Flute Jugalbandi with Shri Shashank S. (Carnatic Flute) at Veer Savarkar Auditorium, Dadar Mumbai on 30.03.2019 at 7.30 pm followed by fusion music session. Sujoy Dey (Bass Guitar), Gautam Sharma (Drums), Esani Dey (Lead Guitar).